To join as a SADA Member please provide the information requested below and submit online. Applicants below the age of 35 years will automatically be included in the Young Dentist’s Council (YDC) Category and receive their communications. The YDC includes all dentist students from year 1st to 5th year and practicing dentists in community service year and those in private and public service. Please note all (*) fields are mandatory. Please note that this is only an enquiry form, your membership will only be finalized once our Membership Development Specialist has contacted you directly and assisted you with choosing the correct category of membership and various packages available. Should you not hear from us within three days please assume that for some reason your application has not reached us as cyber space can be tricky at times. Should this unfortunate incident occur please call +27 61 463 5791 to inform us of your enquiry and we shall assist you. 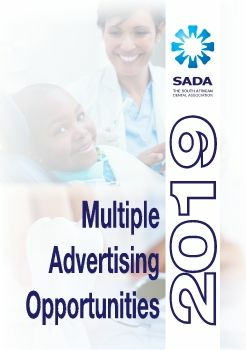 1st year to 5th year dental students are granted FREE SADA membership. Any dental student registered as such with the HPCSA from the 1st year of undergraduate study for the duration of their undergraduate status will be classified as a Candidate SADA member. A student member shall be automatically transferred to any of the applicable categories upon registration as a dentist with the HPCSA (usually a First Year after Graduation when entering Community Service). The Dental Student Representative from each University will assist SADA with the validation process for all Candidate applicants.